Our MHL to HDMI Adapter with RCP has very powerful functions. 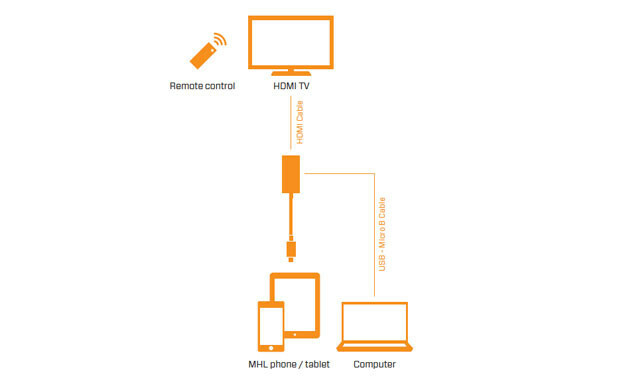 It not only has built-in MHL bridge that easily lets you connect your MHL mobile device to HDMI display, but also has built-in RCP(Remote Control Protocol) function that lets you use the Remote Control of HDTV to operate the MHL mobile device through HDTV’s CEC (Consumer Electronic Control over HDMI) function. 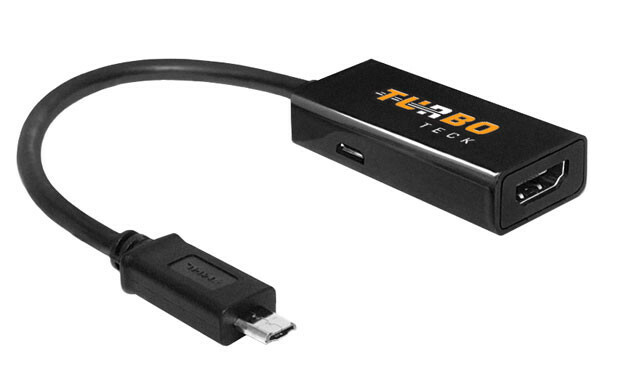 Our MHL 2.0 to HDMI Adapter with RCP has very powerful functions. It not only has built-in MHL bridge that easily lets you connect your MHL mobile device to HDMI display, but also has built-in RCP(Remote Control Protocol) function that let you can use the Remote Control of HDTV to operate the MHL mobile device through HDTV’s CEC (Consumer Electronic Control over HDMI) function. *Our device does not require any additional adapter for Samsung Galaxy phones.